From the time Brooks Robinson made his Major League debut in 1955, until he retired as a player in 1977, he added a new dimension to the third base position. Known as “The Human Vacuum Cleaner”, it has been said that he was the best third baseman to ever play the game. During his tenure, the Baltimore Orioles had the best record in all of baseball. Brooks played in 18 consecutive All-Star games and won 16 consecutive Gold Glove awards. When he retired, Brooks held nearly all the records for a third baseman in Major League Baseball. Elected into the Baseball Hall of Fame in 1983, he received nearly 92% of the votes. A higher percentage than even Joe DiMaggio or Mickey Mantle received when they were elected. Brooks was a true gentleman both on and off the field. 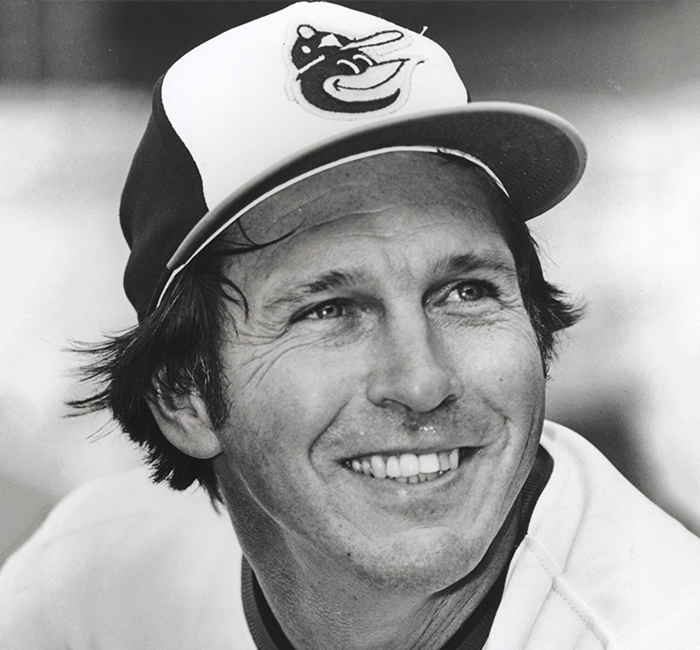 It’s been said that some players get candy bars named after them, but people named their children after Brooks Robinson. A pre-show MEET & GREET is available for purchase (limit of 50 sold).